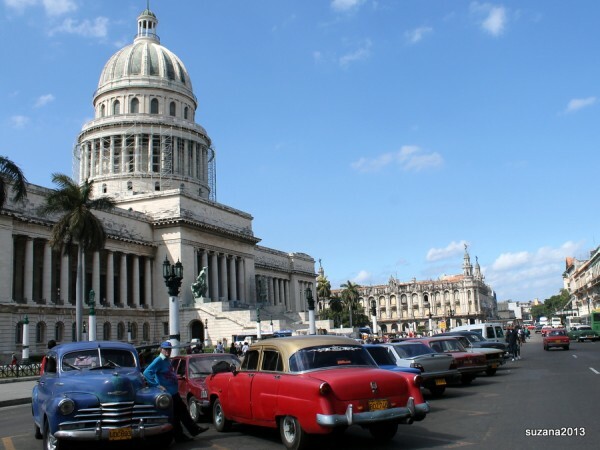 Starting in la Habana the old Spanish capital that has seen better days but has a romance of its own despite the revolution! 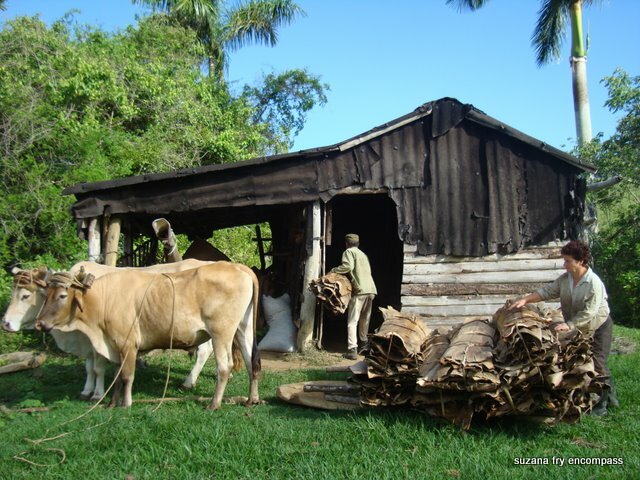 The tour takes you next to the colonial town of Trinidad and a trip into its sugar plantation past. A relaxing day on an island beach follows, where you can sip a rum Collins or enjoy the under sea world while getting your sun tan established! 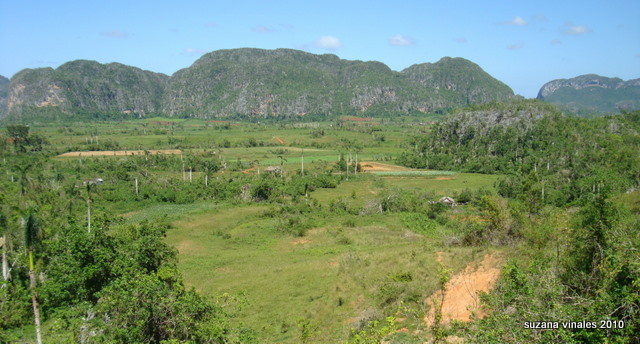 We move on to the traditional countryside town of Vinales, in Pinar del Rio where the campasinos offer you a taste of Tabacco and rum and a night of great dance music. Follow that with a day relaxing on an uninhabited island surrounded by seas of turquoise and blue. This could be paradise! All good things come to an end and we must head back to Havana and say our goodbyes .Why not have one last Mojito in the old city before jumping into a taxi to the airport? Cuba’s national tree, the Royal Palm, dots the landscape as you fly into Jose Marti International Airport on the outskirts of Havana City. Welcome to Cuba and your encompass holiday. Your tour leader or tour representative will be waiting ***to take you from here by taxi to your accommodation in La Habana viejo (Old Havana, which is a UNESCO World Heritage site) Once all your questions have been answered there will be time to enjoy a Cuba Libre in one of the many bars surrounding Plaza de Armas. Music seeps out onto the streets and the romance of the old city will charm and captivate you. Your holiday has begun! Trinidad is another UNESCO world heritage site and the town is preserved in its colonial style with cobbled streets and tiled roofs. It’s an enchanting location in a sugar growing area of the island with views out to sea. 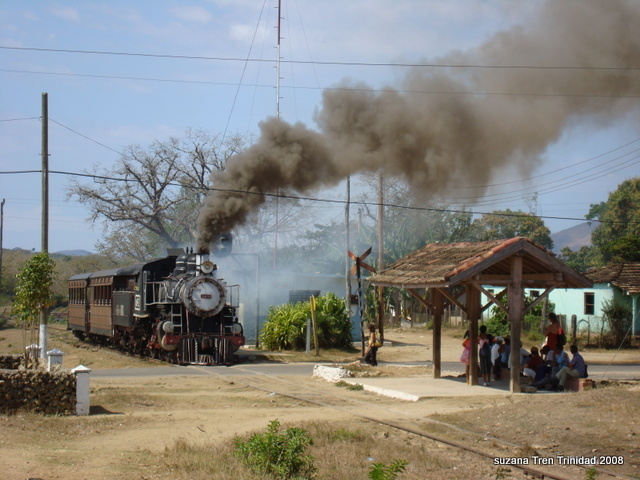 Our days here will include a Tour to an old sugar plantation “Valle de los Ingenios” in a steam train, (when its in working order, if not then a diesel engine) The pace is slow. 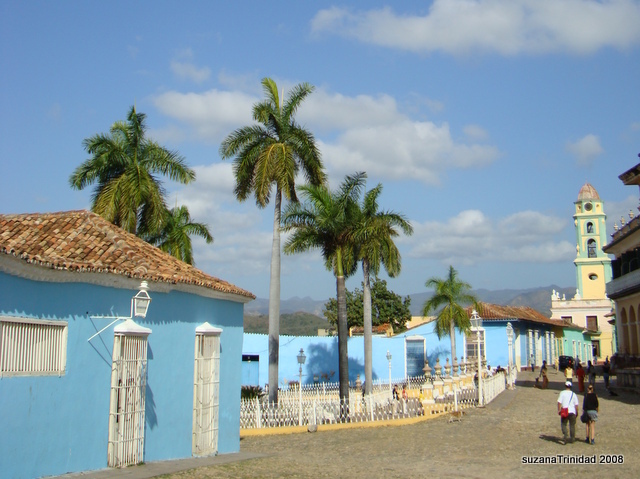 You can climb the famous bell tower at “Manaca Iznaga” plantation or try a glass of sugarcane juice and imagine the life in the Spanish colonial days! This morning we must return to the hustle and bustle of Havana having enjoyed a tasted a little of everything Cuba has to offer. After our bus ride, we must say good bye! The week has flown by! You might have time for a last Mojita in Havana Vieja before heading to the airport. *** Encompass tour leader will be at the airport to meet the direct flight Virgin Atlantic from London Gatwick on the arrival day only. If you are arriving at any other time and need assistance please let us know. We will make sure you have details of the arrival process, and will help you in any way we can. Please read the destination recommendations and additional services guide below before arriving in Cuba! 7 breakfasts included in casas. These homes are a most delightful way to stay in Cuba! You will get to know the families and eat some home cooking and its a direct way to help people who would otherwise be surviving on an average Cuban salary of $40US per month. These houses are of above average quality as they have to meet certain criteria to be registered. The government takes a huge percentage of the price of the rooms ( about 60%) but this still gives the family money with which they can provide the extras you will see in their kitchens and furnishings in their homes.